Humble words for a better future. Our favourite soothing TV voice over and all round amazing man. We offer quotes from interviews, appearances and throughout his documentaries as a way forward for a better 2017. We Can Cherish is the illumination of Sir David's career and life. 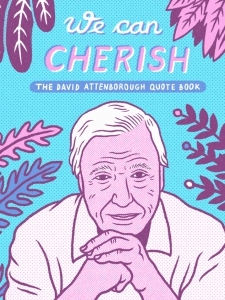 A quote book of Sir David Attenborough.